You are here: Home / Recipes / Cake Recipes / Gluten Free Strawberry Cake! 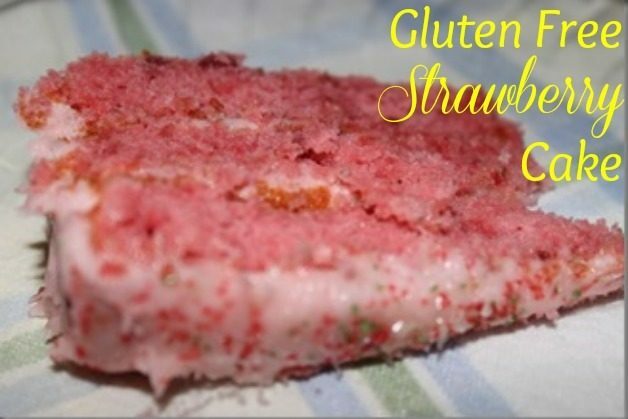 Susan is here with another great recipe: Gluten Free Strawberry Cake. 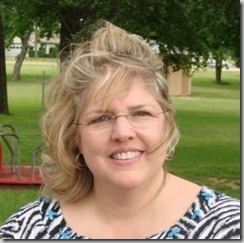 My husband and I used to live in a small rural community as farmers in West Texas when we were first married. Our social circle was centered around our church family and quite often, we would have old fashioned potluck suppers. I have never seen such awesome food. No one would ever consider buying a dessert or skimping on butter and if they brought fried chicken, it was homemade. Granted, it wasn’t healthy but back then, that wasn’t the point. There was such a spirit of family communion and sharing of lives and love of God. These gatherings were the highlight of our lives. Anytime someone would bring something different to the table that was delicious, I would get the recipe and I still have most of those in my recipe file. I rarely make them because they are not recipes that are heart healthy but every so often, I pull one out. The other day, my daughter made a cake that she had adapted to be gluten-free for a family get-together. The minute I bit into it, I knew that it was one that we used to have at church fellowships when we were farmers. She gave me the recipe and I thought I would share it. If you need this to be gluten-free, just use a Betty Crocker’s Gluten Free White Cake Mix. 10 oz frozen strawberries, thawed and drained. Reserve 1/3 of the strawberries for the icing. Dissolve the Jello in the hot water. Drain, smash and cut up the strawberries. Add the egg yolks and the rest of the ingredients to the Jello and beat for 2 minutes. In another bowl, beat the egg whites until fluffy. Fold into the cake mixture….gently. Grease 3–9” cake pans. Cook at 350 for 20-25 minutes. Cool and then ice. As you can see, I put sprinkles on top. I forgot to take a photo until we cut into it but it was really festive looking. The kids loved it.